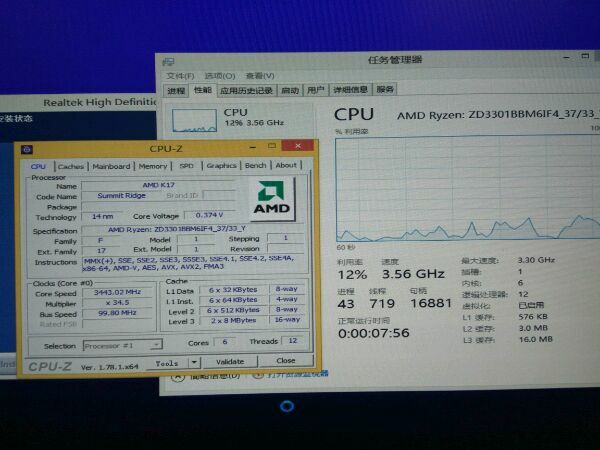 Single and multi-core benchmarks for AMD’s upcoming 6 core 12 thread Ryzen 5 1600X have just been leaked. This is the company’s fastest 6 core Ryzen offering with a base clock of 3.4GHz and a boost clock of 3.7GHz. It’s also a Black Edition, which means it features the amazing new “auto-overclocking” XFR feature. 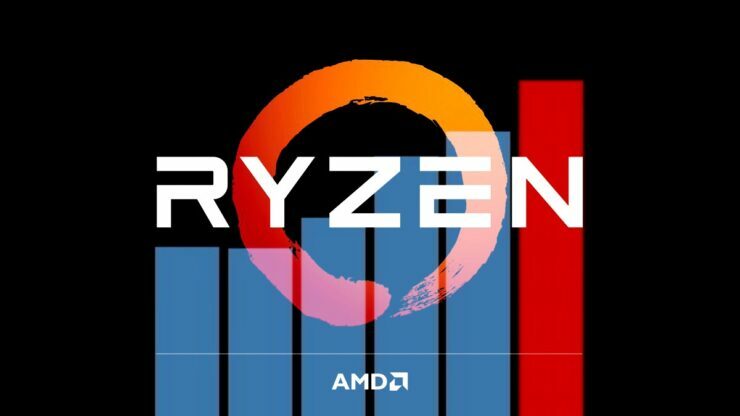 We’re going to be taking a closer look at the Ryzen 5 1600X’s leaked benchmarks and compare it directly to the fastest 6 core, 12 thread chips Intel has on the market. So without any further delay, let’s dig in! I should point out that we’ll only be looking at the recently leaked CPU-Z benchmarks in this article. If you want to check out all of the other leaked Ryzen benchmarks we’d highly recommend checking out this article. 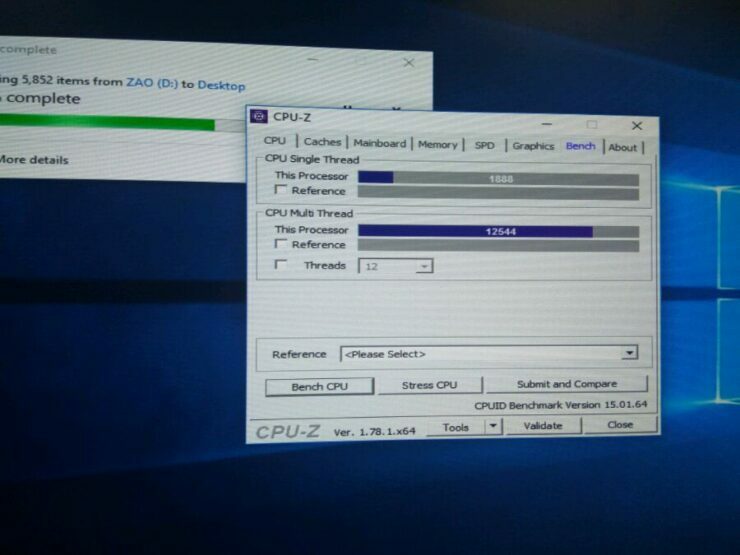 The performance numbers in the internal benchmarking tool for CPU-Z will not necessarily translate to other workloads. Although it does give us a general idea of the chip is capable of. However I should say once again that synthetic tests aren’t substitutes for real-world testing and workloads. With that being said let’s check out the figures. We’ve borrowed the above graph from Guru3D and added the Ryzen 5 1600X to it for the purpose of comparing it with the current roster of high-end CPUs. Assuming that Turbo wasn’t disabled and the chip was boosting to 3.7GHz+ (with XFR) it actually manages to outpace both of Intel’s 6 core Broadwell-E chips. Including the fastest SKU on the market, the i7 6850K which has a boost clock speed of 4.0GHz with Intel’s Turbo Boost 3.0 technology. The Ryzen 5 1600X establishes a very impressive lead here. 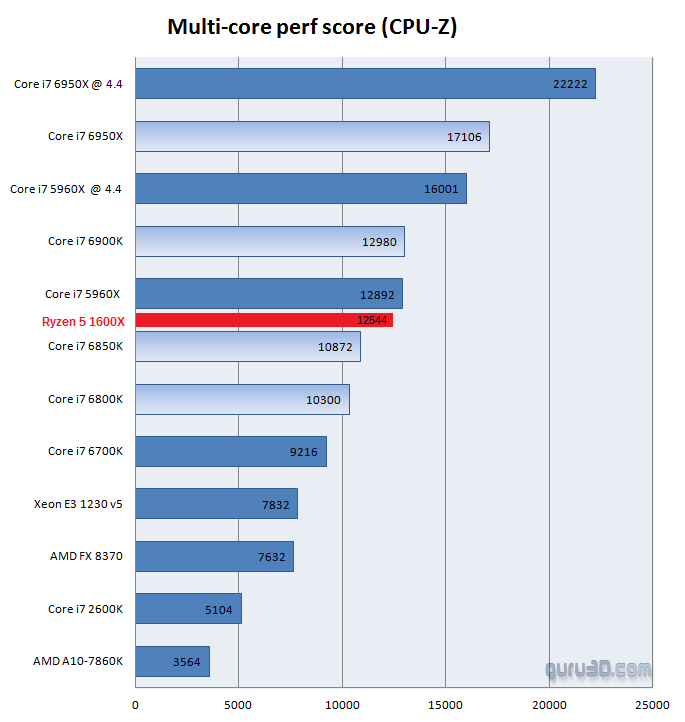 Outperforming every stock clocked Intel Broadwell-E chip. Let’s move to multi-core performance or more accurately multi-threaded performance. 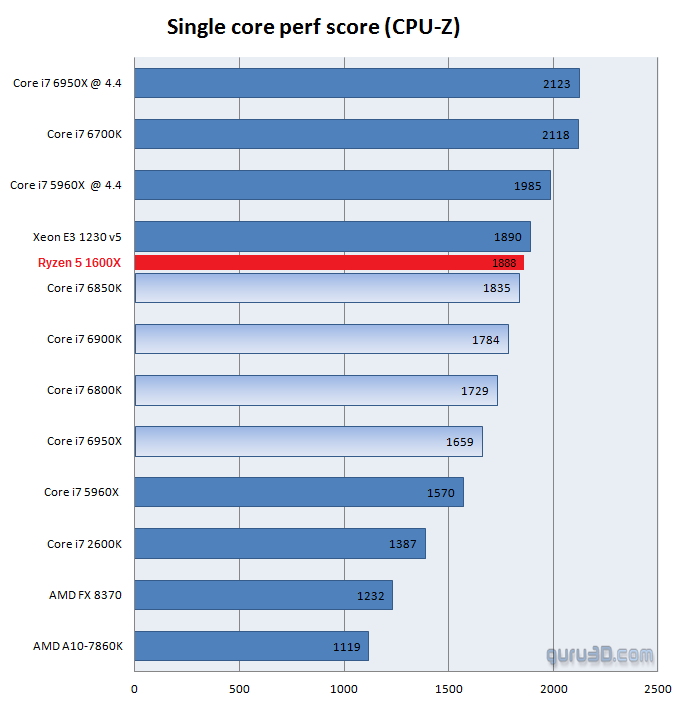 Once again the Ryzen 5 1600X manages to outperform every other six core Intel chip out there and even manages to close in on the $999 8 core i7 5960X Extreme Edition Haswell-E flagship. This is an incredible showing for the 1600X. Especially when we consider that it’s a $259 chip that’s outperforming Intel’s $600+ i7 6850K in both the single and multi-core CPU-Z benchmarks. It’s going to be very interesting to see how these numbers translate to real-world productivity and gaming performance. Suffice to say, we can’t wait to find out.